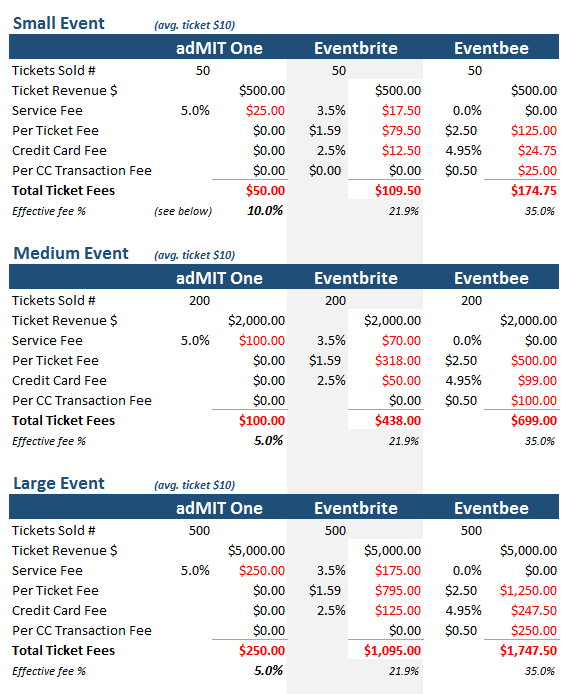 ﻿The adMIT One Ticketing Service is a centralized box office managed by and for the MIT community. We work closely with student groups, MIT departments, and external organizations to ensure that each event is as successful as possible. When exploring your options, make sure you consider all fees charged by ticketing services beyond the service fee.